As an entertainer, Michael Jackson set a standard for excellence. From his moonwalk to his unique dance kick and steps, Michael entertained his fans with their complete satisfaction in mind. Throughout his career, he lived the lyrics to the Jackson 5 recorded song I'll Be There through his philanthropy as well as his entertainment. As the world mourns Michael's passing, Albany's Internet Mall extends condolences to his family and friends and also celebrates his career through his music, his videos and the recordings and stories of the Jackson 5. After a stellar career in Country music that includes 33 hit singles, Reba McEntire is still entertaining her fans through her music. 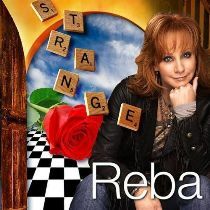 Her newest single, Strange, is Reba's highest debut and fastest rising single of her career. Download Strange and other popular Reba McEntire singles and albums at Albany's Internet Mall. Reba's music is available for downloading to an MP3 player or from Apple iTunes. For Reba's music, click here. Versatile in all she does, Reba's music is also available through videos. Reba Video Gold encompasses her music over a span of 20 years. There are also videos of Reba's collaborations with her musical friends (i.e. Kelly Clarkson, Trisha Yearwood, Martina McBride, Linda Davis & Vince Gill, just to name a few). Reba's videos at Albany's Internet Mall are available on DVD or through Apple iTunes. Also available is Reba's live concert performance at Carnegie Hall in New York City as Nellie Forbush from South Pacific. This video on DVD is a must have for all Reba fans. For Reba's videos, click here. Reba McEntire is a Country Music Giant, but she also lead a talented cast of actors on the hit television sitcom, Reba. Fans of the show still miss it in he primetime lineup, but continue to enjoy the show in syndication. The sixth and final season of Reba will be released on DVD June 23, 2009. Order it and seasons 1-5, click here. Among the many accomplishments of the multi-talented Reba McEntire is author. Reba's autobiography entitled Reba: My Story was released in 1995 and became a bestseller. Comfort from a Country Girl is Reba's discussion of the roles of the modern woman in the home, in business, in entertainment and as a Christian. In this book, she also shares the Oklahoma values that have inspired and comforted her. For Reba's books, click here. Get tickets to see Reba McEntire live and in person. Purchase tickets through and make hotel reservations at or near locations of Reba's live performances. Click here. Looking for a family fun travel destination for Summer 2009? Consider Branson Missouri. 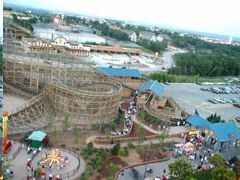 This city, filled with cultural attractions from the Ozarks, also features live family entertainment shows and theme parks. The area is also great for golf and fishing. Learn more about Branson. Buy Branson show tickets. Make travel reservations. Relive the hilarity when Mable Simmons (aka Madea) has an encounter with the law that lands her IN JAIL!!!!!!!! 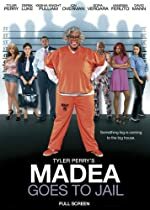 Tyler Perry's movie, Madea Goes to Jail will be released on DVD June 16, 2009. 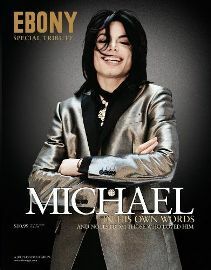 Order the DVD now. Click here. Inspirational Books at Albany's Internet Mall includes bibles, bible study aids, devotionals, journals and inspirational works by Christian authors. Find great graduation and Father's day gifts among the selections of works in the Inspirational Books section of Albany's Internet Mall. Click here. 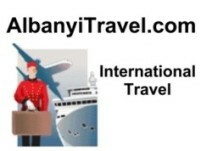 Albany's Internet Mall is now tweeting on Twitter! Follow us to keep up with the latest sales, discounts, free shipping offers, travel deals and entertainment available in the Mall. Check out our latest new tweets.